CDB oil does come with controversary, but you can’t ignore its amazing health benefits. With the discovery of the endocannabinoid system in the human body, science can now back up claims of CBD oil for a host of ailments. Many people swear by CBD oil to manage their chronic pain, and Dr. Rogers will discuss the role of CBD oil in the opioid crisis. It has been proven to relieve symptoms of anxiety, headaches, epilepsy, and even cancer. This powerful oil seems too good to be true, but many people swear by it, and there is more and more research being released to back up the claims. If you are tired of taking pharmaceutical drugs, and can’t deal with the side effects any longer, CBD oil may be what you have been looking for. Dr. Mike Rogers will give you all the information you need to know if you are thinking of trying CBD oil, and we will discuss how to possibly switch from conventional pharmaceutical drugs to CDB oil. 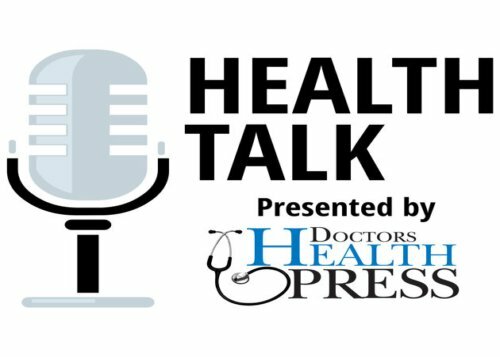 Please join us for this episode of Health Talk, by Doctors Health Press! Hello and welcome once again, you’re listening to Health Talk by Doctors Health Press. I’m Sarah Cownley, nutritional therapist and your personal host for the show today. This podcast is about really bringing you the information you need to live the healthiest life possible. We’re having discussions with some of the best in the field of alternative health care and many of who we interview on this show are really the experts in their field and we want to bring their knowledge to you, our listeners. You are listening to episode 003 and the title is CBD Oil: Could This Be The End Of Your Prescription Drugs? So for today’s show we are going to be discussing CBD oil. Now, if you don’t know much about this product or if you want to learn more about it’s uses, be sure to keep listening. This could really change your life. This is the ultimate way, to change the way you think about prescription drugs. And it may also give you an alternative to the ones you may currently be taking. CBD Oil is used for health purposes, but it can be quite controversial. There’s a lot of confusion about what it is and the effect that it can have on the human body. So, our guest today is going to help us sort through fact from fiction and kind of give us the basics and introduction to what CBD oil is and what it can be used for. So without further ado, I’d like to introduce today’s guest and expert on CBD oil, Dr. Mike Rogers. Dr Rogers is the co-owner and co-founder of Nture’s Vitamins and Herb’s located in Asheville, North Carolina. Dr Rogers, welcome to the show. Now, I had met you because I myself was looking at some of the CBD oil products. And you helped me above and beyond. You gave me so much information. So I thought it might be a great topic for our listeners. So Mike, why don’t we start by you giving us a little bit of information about yourself, how you got started in this business, your background, and why you’re so passionate about CBD oil. Oh yeah. Okay. Well, years ago go, was, you know, a practicing pharmacist and I went to a lecture from a Doctor at Chapel Hill, which is our local university. And they talked about using homeopathic medicines and during that talk they talked about using things that didn’t have side effects, drug interactions or contraindications and being a pharmacist, I mean, that is just completely unheard of, but it got my interest going. And so I started looking into homeopathic medicines which then led into herbal medicines and which eventually ended up to my partner Bill Cheek and I opening up an all natural pharmacy. And we did that for a couple years and then we started a into the world of compounding prescription. So we became a compounding prescription pharmacy. And then we closed that a few years ago, sold it. And now we just specialize in CBD oil. Okay. So let’s start out by talking about the basics. What is CBD oil? You know, that’s interesting because about three years ago we had a patient come to us and ask us if we could get some CBD oil for their daughter who had this chronic condition that was in pain all the time. And of course, our first question is, what is CBD oil? Because we had no clue what that was. But, we contacted a few companies and started getting the CBD oil in from different companies and then we started our education. But CBD stands for Cannabidiol, which is what’s called a cannabinoid found in the hemp or cannabis plant. Okay. And that particular compound as well as there’s another hundred compounds that are chemically similar to that affect what they call the Endo cannabinoid system in your body. Now, this system, nobody even knew existed when I was in pharmacy school. There was no such word as an endocannabinoid system, but when they started studying THC, they found that there was receptors in the brain for THC. So somebody along the line said, okay, well, if there’s receptors in the brain, it’s not, there’s not a receptive there because of there’s a plant out here because the body must be making its own things. So they found out that the body makes its own. Cannabinoids are what they call endocannabinoids, and that there are receptors from the brain all the way down for that system. Now that system called the endocannabinoid system is a system that regulates all the other systems and this is why the CBD has so many different effects. I mean, a lot of times when you read something that’s, you know, it’s going to cure everything in the world. I mean, you can depend on it not doing anything, but in this case, that’s absolutely true. It affects so many different systems and it has so many different effects for so many different conditions. Okay. Now the one question I do have, which a lot of people have this question, they hear cannabis, cannabinoid and the first day thing they think about is marijuana. Correct me if I’m wrong, it has all of the hallucinogenic properties taken out of it, so people don’t need to worry that they’re going to feel an effect if they take the CBD oil. Is that correct? Yeah. Well, what it is, is that the CBD or the cannabidiol by all itself, that molecule does not have psychogenic property. The THC or tetrahydrocannabinol does. Okay? Now, in order for it to be legal, at least here in North Carolina, all the products have to contain less than 0.3 percent of the THC, which may mean they have a small amount in there or they may have none in there, but it is not enough to get you high. So if somebody takes a CBD product, they’re not going to feel high. They may feel maybe a sense of calming or depending on what, what they’re taking the CBD oil for, they will certainly feel a, you know, we probably use a lot for anxiety, but they’ll feel like calming effect. And the thing that I like to tell people is that it, you know, if you smoke pot or you smoke a joint, you got high, but you also got very calm and it’s the CBD or the cannabidiol that’s creating that calmness effect, not the THC. Okay, okay. I know that’s one thing that a lot of people are afraid of. They don’t want to think that they’re taking a drug, but they’ve heard so many medicinal properties of it. So this is a great way to get the medicinal properties without the drug part. Exactly. You have to make you think, you know, the whole push towards medical marijuana is one thing, but it’s, it appears that the CBD or the cannabidols, the thing that has the main therapeutic effect. So you don’t even really need the THC. Although from what I understand, there are certain conditions and people that respond better if you put a little THC in there too. But that only happens out and out west. And were medical marijuana is legalized. Now you had mentioned that a lot of people do take it for anxiety. Are there specific conditions that CBD oil is the, has been kind of proven to help relieve? Um, I’ve heard of it being a pain reliever. Are there specific ones that. Yes. Well, good question. Now you cannot, you cannot make claims. I mean, the companies that make the CBD legally cannot make claims about what it’s used for. But it was first used. I mean it’s been used for years, I mean hundreds of years for all sorts of different conditions. But it gained its popularity for the treatment of seizures, there was a little girl named Charlotte and I think her last name was fig and she was having all these seizures and I believe that parents were given her cannabis that had the THC in it, that was helping the seizures, but she was high. So this particular company called Charlotte’s Web, grew a strain of cannabis that was high in CBD and low in the THC and it relieved her seizures. And that’s what made everybody aware CBD. So definitely, I mean a seizures is one of the big thing that’s used for. And the great thing about it with seizures is that when children are on seizure meds a, which is just, you know, seizure meds are things that we have in the normal medical world to stop seizures and they do a good job at it. The problem is, is that they also zonked the kids. So the, here’s the parent, the kids not having seizures but he’s not there. He’s just like a zombie kind of thing. So when they give them the CBD, the CBD doesn’t have that same effect of making them zombies and here all of a sudden the parents get their kids back and they may still be having a seizure here, there may be seizure free, but at least the kid is, I’m just gonna use the word back versus being sort of in a Zombie state. But other uses, I mean we probably sell it more for chronic pain and anything else, people on opioids wanting to get off of them. To me, you know, this, this is part of the answer to the opioid crisis and I can’t see why, why the government or whoever’s in charge cannot see that yes, this could help the entire problem. Chronic pain, anxiety, sleep, arthritis, inflammatory conditions. And then it goes into things like Parkinson’s disease, fibromyalgia, migraine headaches, always kind of chronic conditions that people just haven’t really found a good solution to in our conventional world of medicine. And I mean I have, I mean it’s, I’ve never had anybody in my practice when I was practicing pharmacy call me up and thanked me for dispensing a Prozac to them, but we get calls everyday saying, oh my God, thank you. I even had some guy come in here one day and he was, he was walking on a cane and the next day he came in without his cane and gave me a hug and that’s not that I’m doing anything. I just got the information about the CBD, but it’s, I mean that’s the type of thing you see almost every day when, when dealing with the CBD, we probably have an a lot, just a little store right here in Asheville, North Carolina. We probably have 40 to 60 people a day coming in to get that for some particular reasons. Oh, that’s just incredible. It’s unbelievable. With the CBD oil, it, I guess one of the main attractions to it, there’s no side effects like there are with pharmaceutical drugs. Again, we’ve been recommending this for about three years and I’ve never had one person have any kind of side effect like upset stomach or dizziness or any of those things. It does have a calming effect, but that’s not really a side effect. That’s something that we want, especially if you’re in pain because you’re in pain, you’re also very anxious and if you have anxiety that makes the pain worse. So if you relieve that anxiety, then it’s also gonna help relieve the pain too. And now how does, what form does the CBD come in? Is it in capsules? Well, the CBD comes in different forms and there’s advantages and disadvantages to each form. Okay. So it comes in a capsule form in the advantage to that is that it’s just simple. You swallow a capsule, it comes in vape forums and the advantage to a vape form is that it’s very quick acting. For example, if you had like a migraine headache or you were having an anxiety attack in or you know you could just calm yourself down real quick or knock out the Migraine. And for those listeners that aren’t quite sure what vape is? Vaping is like a like an e-cigarette is a cigarette where you inhale it. Kinda like a joint, but it comes in little special pens and it comes and topical forms which are good for local action. For example, if you had rheumatoid arthritis and your knuckles were all swollen, you could apply it there, but then it comes in a liquid form. Now the liquid forms are designed to be used sublingually underneath the tongue because they’re very fat soluble molecules and they’re absorbed better that way. The big advantage to the liquid form is that we can titrate the dose. We can take a particular dose based on your condition and have you start with that low dose. Well for one reason. If the dose is low and it works, just stick with that and if not, you can gradually increase the dose until you get relief from whatever is going on with you. Okay. Now, is there anyone who should avoid CBD oil? Perhaps maybe it can interact with prescription medication? Great question. We get that question almost every day. Um, as far as we have seen now, we do, there is some information out there about CDB interacting with seizure medicines and the situation there is that the CBD can increase the levels of the seizure medicines or it can decrease the levels of the seizure medicines or the seizure medicines can increase the level of the CBD and decreased. So this takes a little work and it’s always great to have your neurologist on board if you’re trying to have your child or an adult kind of move towards the CBD and less than the prescription drugs. But now there’s all other kinds of drugs and there’s a, there’s theoretical information about how it may interact with particular drugs, but nobody’s going to study that because nobody’s going to put the money out to even look at that. So the best thing to do is at least when you take the CBD oil, try to separate it by about an hour and a half from when you take your regular medicines and this way they both won’t hit the liver at the same time because that’s where the drug interactions mainly take place when you put in different drugs and the liver at the same time and they can affect the metabolism of the other ones. So what we usually recommend, at least right now, maybe until more information comes out, is to at least separated by about an hour and a half from whatever medicine you’re taking. And what about dosing? Is there kind of a standard across the board or is it completely different for the ailment and you’re taking it for? Dosing is the most important thing about CBD. Now, the first thing I can say is don’t follow dosing on manufacturers’ boxes because they’re too massive of a dose. You’ll use the box up in a week or two and you can’t even afford it, but the dosages are too high. Dosages need to depend on what your condition is, what situation you’re going through, and ultimately, uh, what you do is you start off with a relatively low dose and again that dose depends on what you’re dealing with and then you can gradually increase it if you need to. The low dose works, you just stay there and if not every certain amount of time, a few days or whatever, we can up that dose until you get relief. So dosing is the most important thing about the CBD. But you can’t really overdose on CBD? I’ve read where they’ve given people like 1500 milligrams a day, which is a large dose and that they’ve had no side effect from that. And, and we have seen patients here, you know, certainly with seizures and cancer using anywhere from 200 to a thousand milligrams a day and they’re still walking around and driving. So as far as we know or have seen in our experience, there is no overdosing going on at all, especially compared to opioids. So, overall it’s a pretty safe product? Yeah. That’s what’s so crazy about it. It’s safe and it has so many great effects do and it doesn’t create problems. I mean, it’s on a certain level. It sounds to me like it’s a miracle thing and I will have to say that, I mean, I have had patients lives just changed because of this. So on a certain level it is! And you’ve seen a lot being a former pharmacist or retired knowing about all those drugs. I mean when we were dispensing drugs, probably 50 percent of what we were dispensing or some sort of mind or mood altering drug for anxiety, depression or pain or whatever. And I had a doctor tell me the other day that if she could prescribe the CBD, you know, write a prescription for it, it would cut down on 50 percent of the drugs that she was prescribing. But she can’t do that. So. Well, actually that leads me into my next question. Where can people get CBD oil? Is it first of all, in every state, is it legal? Okay. Now what we understand is that, as long as it has less than the zero point three percent of the THC in it, that it is legal in all 50 states. Now, where you get it. I mean, you know, maybe health food stores have it. We have doctors that dispense it out of their offices, certainly pharmacies and compounding pharmacies. So it’s, it’s getting all over the place. One question I did have, um, are there, for lack of a better term, fake products on the market at all, is there something that people should watch out for when they’re buying CBD oil? You know, that’s, that’s very interesting question because about three years ago when we started into this, there was, we had the Charlotte’s web brand, the Palmetto harmony brand, and a brand called CV sciences. And at that point in time, they seem to be the only companies around now, today, you know, we get calls almost every day from some company who’s selling CBD and their, product is better than everybody else’s on the market. And then of course when we asked him to show us some studies, they don’t really have any studies, but what that means is, yeah, there’s a bunch of people getting into it that are making really quality products. There’s no doubt about that. But there’s also a bunch of scams. I’ve had people come in and tell me, well, I ordered this off the Internet and didn’t do anything. And then they’d come in and they try a, a quality brand and they can see the difference. So it’s really hard. I mean, I’m a little, I just don’t know what the answer to that is, but I do know that if you stick with, with the, you know, the brands that have been around, I mean, you can’t go wrong, but that doesn’t mean that the new ones aren’t good either. But I would be a little funky about ordering something off the Internet. So maybe find someone like yourself. Well, what do you want to find is somebody that’s been using the CBD. You maybe not a person, but a company that’s been recommending it for, you know, years because they know what works and what doesn’t work. I mean, we know what companies work and what companies don’t work because we have that experience. But again, I mean, I don’t want to put down new companies. It’s just that, you know, you just don’t really know. That’s why. That’s why I’m saying you kind of need to go to somebody that’s been using it that knows what companies are good and which ones aren’t. You need to do your homework. Okay. Now, do you have any last tip for anyone to purchase CBD oil? Anything that comes to mind that you can suggest? Well, again my thought about that is that, if you want to use the CBD oil, I mean then my thinking would be to seek out some type of health care practitioner that knows about, you know, about disease states, you know, about like, okay, I’m on this drug. Can I possibly wean myself off of this drug and use the CBD. Somebody that’s got some sort of knowledge about the CBD, about medical conditions and about drugs, and if you could find that then I think you’d be safe. Now if you can’t find that at least some type of healthcare practitioner. I would be a little funky about buying it at a flea market, you know. So, and again I tend to keep going back is don’t follow the directions on the manufacturer boxes because they’re just too high. Well, Dr Mike Rogers, thank you so much. You’ve given us a lot of information today about CBD oil and so your store is located here in Asheville, North Carolina. You’re at 752 Biltmore avenue and the website is naturesvitaminsandherbs.com. But just a note that you were previously naturespharmacy.com. Is that correct? Okay. Just so people can find you, through your website, if anybody has any questions or can they order through you online? Well, we determined that, if people ordered from us online that they would just go in there and find a particular product and order it. They would probably get it in. They would probably follow the directions on the box and that’s just messed up. We put a thing on our website, says, no, we’re not gonna sell it online, you know, you need to call us so that we can talk to you about the dosing and interactions and what’s going on with which were, you know, we do that all the time. So we felt like, you know, certainly we could sell a lot more if we were just letting people order it. But again, it’s, you know, you gotta do what’s right for the people. You can’t do what’s right for business. So that’s our philosophy. Bill Cheek got his BS in pharmacy and you know, and if you want to just give us a call, I mean we just talk all day long to people and we love it. We’d been, everyday we come to work where it’s still excited about it. We’re also offering a pretty great promotion for those listening today. We’re going to be offering our publications at a discounted rate, so our publications, are monthly newsletters that will really keep you informed about the latest in natural healthcare. So just visit doctorshealthpress.com/podcastdeal to see special offer, so it’s doctorshealthpress.com/podcastdeal, all one word to learn more about the offer. And if you’ve enjoyed this episode today, don’t forget to give us a rating. If you’re listening on iTunes or Google play or any of the other platforms that allow you to give a star rating, please do so. Let us know if you liked it, if you didn’t like it, and that way we can bring you more and more up to date health information. Thanks again for listening and until next time, I’m Sarah Cownley reminding you that it’s never too early or too late to work towards being the healthiest version of yourself.